Thomas Pieters held his nerve on the back nine to take the halfway lead at the Maybank Championship by one shot. Pieters started Friday two shots behind overnight leaders Marcus Fraser and Nacho Elvira, and fell further behind with a bogey at the second. While he got that shot back two holes later, Elvira was opening up a four-stroke advantage at the top of the leaderboard. 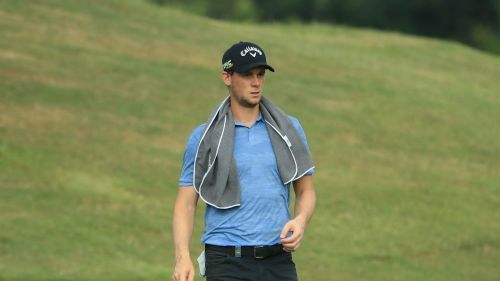 However, the increased winds in Kuala Lumpur saw the Spaniard struggle on the back nine, and he finished the day with a level-par 72 to occupy second place with Danny Masrin. Pieters had no such problems, though, as he picked up three shots on the way home to edge clear of the field through 36 holes. "I struggled off the tee early on – at the end it was a lot better," said Pieters. "It didn't feel like a good day to me. I made the best of what I had. I gave myself a lot of chances but I couldn't seem to get the ball in the hole." Fraser endured a miserable day as he signed for a five-over 77, the Australian carding three double bogeys as he slipped to two under and a share of 30th. Ernie Els also suffered in the tough conditions, but the veteran was able to finish the day two shots behind Pieters. The two-time Open champion heads a group of seven players on six-under.